"Christopher Steele backed up his Democrat & Crooked Hillary paid for Fake & Unverified Dossier with information he got from “send in watchers” of low ratings CNN. This is the info that got us the Witch Hunt!" CNN iReport, which is long gone, was clearly disclaimed as a "user-generated site," warning that "the stories submitted by users are not edited, fact-checked or screened before they post." As Fox notes, even the site's banner included the slogan "Unedited. Unfiltered. News." and made clear that users who submit content do not work for CNN. "Do you understand that CNN iReports are or were nothing more than any random individuals' assertions on the internet?" an examiner asked Steele. "No, I obviously presume that if it is on a CNN site that it may has [sic] some kind of CNN status. 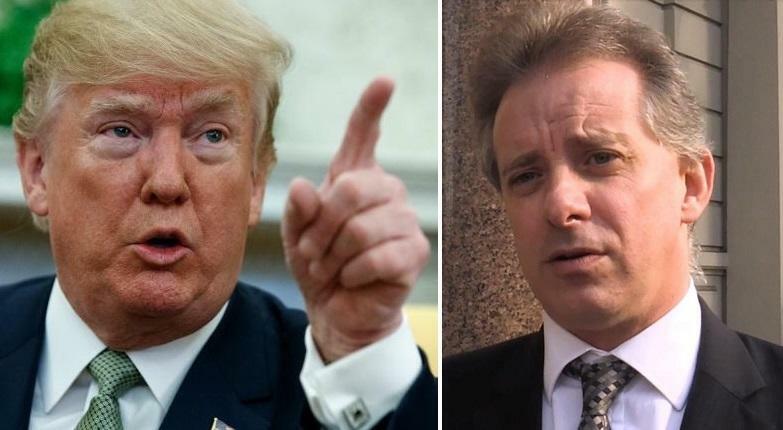 Albeit that it may be an independent person posting on the site," Steele replied. Trump also ripped the late Arizona Senator John McCain (R) on Sunday, tweeting that it was "just proven in court papers" that "last in his class" McCain sent Steele's dossier to media outlets in the hopes that they would print it prior to the 2016 US election. On Saturday, Trump tweeted: "Spreading the fake and totally discredited Dossier “is unfortunately a very dark stain against John McCain.” Ken Starr, Former Independent Counsel. He had far worse “stains” than this, including thumbs down on repeal and replace after years of campaigning to repeal and replace!" In response Meghan McCain fired back with her own Tweet, saying "no one will ever love you the way they loved my father." Which is interesting, because it seems that McCain was generally disliked - particularly by Democrats - until he came out against Trump. After Trump's Sunday tweet, McCain replied "My father lives rent free in your head."